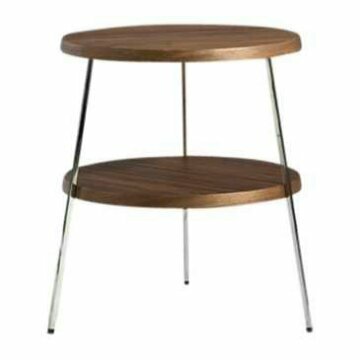 Side tables are an incredibly practical accessory that aren’t used enough in interior design plans. 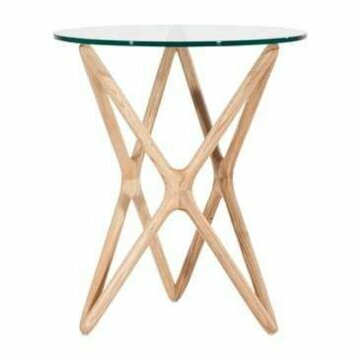 In order to illustrate the versatility of the side table, we will be looking at the various uses of them throughout the home. The lounge is perhaps the most obvious place to feature a side table. Many people sit them at the side of their couches to provide a base for table lamps and a place of rest for warming mugs of coco on an evening. While this is an undeniably practical use, why not consider your side table as a piece of art too? 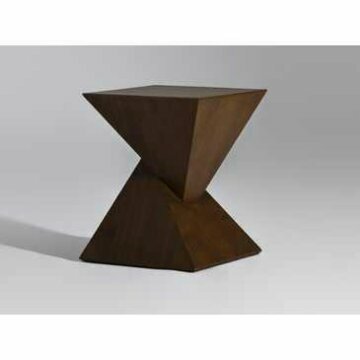 Retailers of modern furniture , like Vita Interiors, have a great range of statement side tables. This interesting pyramid piece provides a modern twist on a standard design, while keeping practicality intact. It is sure to become a talking point in your living room, admired by all who visit. Side tables are often excluded from the bedroom, but they can, in fact, work really well. Bedside cabinets can be generic and boring, so opting for a side table will result in a much more unique and stylish look. Place one on both sides of your bed and they’ll be the perfect place to rest your book and glasses while you sleep. As all ladies will know, finding a place to store all your perfumes and cosmetics can be a nightmare, so why not use a side table as a dresser? This light coloured wood and glass number would be perfect in a bedroom, as it will keep your room looking bright and airy whilst providing necessary space for all your essentials. With most home offices featuring a large desk area, many people don’t see the need, or have the room, for a side table. However, a side table can actually be an ingenious space saving solution. If you have your printer on your desk, it may be an idea to free up some extra workspace by moving your printer to a side table. This two top side table is a perfect option as it not only has room for your printer, but the bottom shelf can be used to store reams of paper. At only 45cm in height, you may be able to free up even more space by positioning this in unused space under your desk. Thanks Vita interiors for the useful info. I wanted to chime in and say another great use for a small side table are bathrooms that have pedestal sinks and not enough counter space. You can see how functional this is and many examples here. I recently blogged about bedside tables vs bedside chairs which are both alternatives to nightstands (with drawers). Usually they take up less space and still provide surface space. This sponsored post has been brought to you by Vita Interiors.